Craft beer and the leisurely activity of hurling sharp weapons at wooden targets will soon collide at Chops and Hops, Fort Lauderdale’s first ax-throwing bar. The ax-throwing “lodge,” as founders Ryan Lavernia and Clay Rusch call it, will occupy a 2,000-square-foot space in the city’s Flagler Village neighborhood when it opens in September. At Chops and Hops, drinkers stop by one of the bar’s six ax-throwing bays and attempt to chuck lightweight axes at a bull’s-eye. After a visit to an ax-throwing bar in Seattle, Rusch told Lavernia about the idea in January. Lavernia did not react well. Those initial misgivings turned to excitement after Lavernia and Rusch toured popular ax-throwing bars in Buffalo, Chicago, Pittsburgh and Tampa, where the pastime is part of a growing national trend. The idea to combine axes, beer, wood and boredom migrated south from Toronto, spawning recreational ax-throwing leagues and ax-throwing ranges across the United States, Lavernia says. 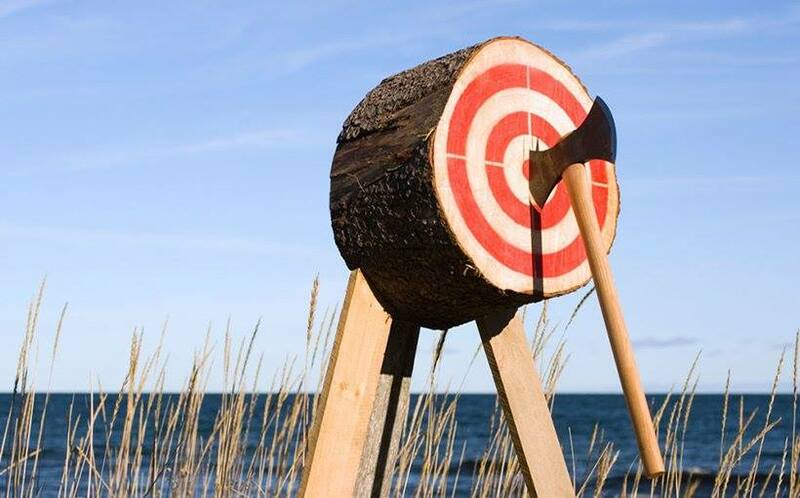 But why throw hatchets in Fort Lauderdale, not exactly the lumberjack capital of the world? “The common theme at all the bars we visited were the diversity of people we saw, and that all the ax-throwing sessions were booked for weeks in advance,” says Lavernia, who says he’s received requests from “10 to 15 companies” for advance bookings thanks to early word of mouth. An ax-throwing session costs $35 and lasts 90 minutes, and visitors must sign waivers before they begin. Patrons will then be paired with “ax-perts” who will coach them about the best way to achieve the satisfying, wood-splitting thud of a hatchet sticking the target. “Ax-perts” will also teach ax-throwing games, and encourage round-robin-style competitions. Meanwhile, a 10-tap bar will serve local craft beer, cold-brew coffee and wine, along with snacks such as chips, jerky and popcorn. Food trucks will also be on hand during business hours. Lavernia says reservations for ax-throwing lanes will be available on the Chops and Hops website sometime in August. McKay Ferrell and Ty Eriks are Pacific Northwest natives who planned to open their brewery in craft beer-saturated Portland, Ore., until they found a 5,300-square-foot warehouse in central Fort Lauderdale, down the street from Warsaw Coffee Company and Milk Money bar. When the duo’s 10-barrel brewhouse opens in July, it will become the sixth brewery in Fort Lauderdale. The brewery was originally set to open in August 2017, and again in February, but permitting issues delayed the opening, Ferrell says. Ferrell says the taproom will be modern-industrial chic, with brick walls and Edison lights, and will specialize in low alcohol-by-volume, easy-drinking suds. 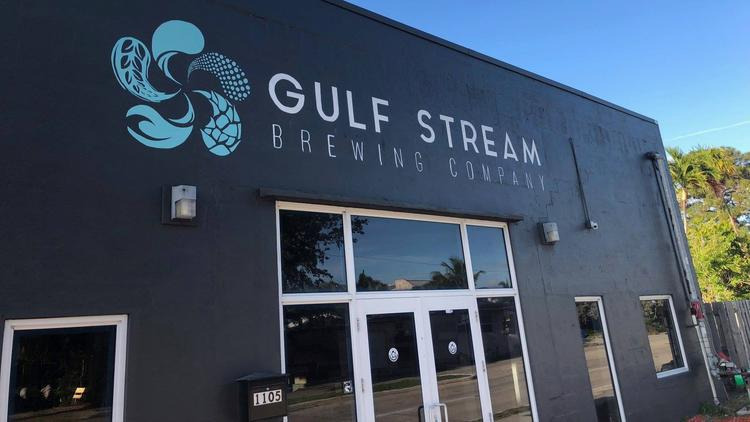 Mike Demetrius, formerly of MIA Beer Company in Doral, will become Gulf Stream’s head brewer in early June. Ferrell says he’s still mulling beer names, but the opening tap list will include a red ale, a brown ale, a kolsch, an English-style porter, a Bavarian-style hefeweizen and West Coast IPAs. The brewery will also offer experimental brews with different hop and yeast strains. Hours of operation are 4-11 p.m. Monday to Friday and noon-midnight Saturday and Sunday. 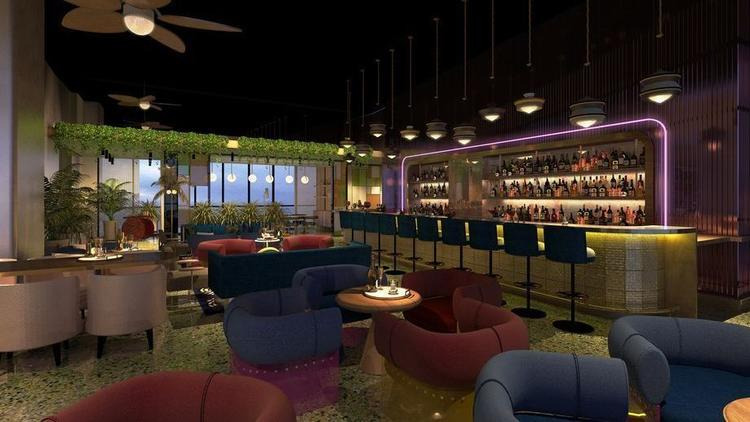 Fort Lauderdale’s second rooftop bar, Sparrow, will sit atop the Dalmar, a 209-room boutique hotel scheduled to open this summer near downtown. The posh lounge, which will serve cocktails and light comfort foods, will incorporate 1960s designs and furniture, according to a press release. It will be one of five restaurants and bars at the hotel, which also boasts a pool and cabana area, a sky deck and Sip N’ Dip, a pool bar. Sparrow will be open from 4 p.m. until late and offer brunch on the weekends.